Indie five-piece Dog Is Dead will headline alongside Toploader at this year’s Downing May Ball. 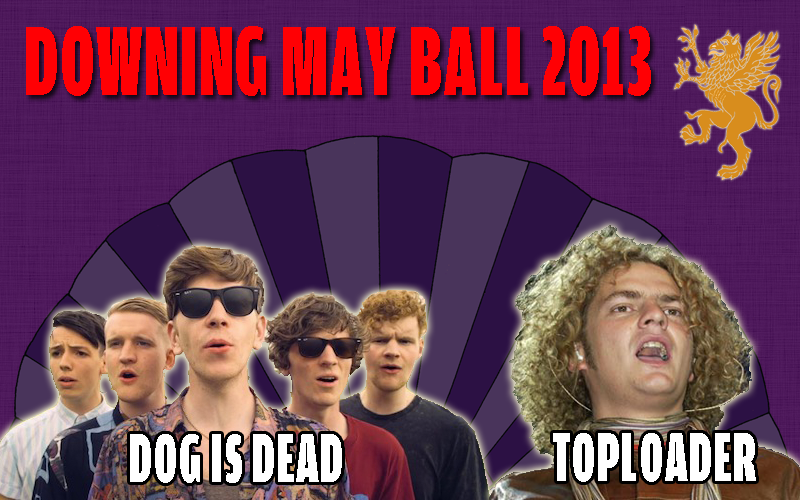 Indie pop act Dog Is Dead will be the headline act at Eastern Odyssey, Downing College’s May Ball 2013. The five-piece band from Nottingham, who describe their music as “an original blend of harmonious, indie pop with a cheeky jazz hint”, have received critical acclaim for their debut album, All Our Favourite Stories, released late last year. The Guardian praised the LP’s “solid gold indie pop songs”, of which Teenage Daughter is the most well-known. Performing alongside them on June 18th will be be fans’ favourite Toploader, whose Dancing in the Moonlight is a classic 90s tune. French band We Were Evergreen will also make an appearance, alongside Cambridge alumnus Kyla la Grange. To top off the bill, Radio 1 DJ Tom Deacon will be hosting a comedy hour with an array of up-and-coming comedians. Keep up to date with all the latest news with The Tab’s May Ball blog.